It is a bit overwhelming thinking about tonal values and different elements in drawing a landscape, so I decided to break it down in small pieces: sky, grass, trees, rocks, water and possibly architecture. Since I’m still under the weather, I thought I’d start with rocks because they are so easy, right? Wrong! 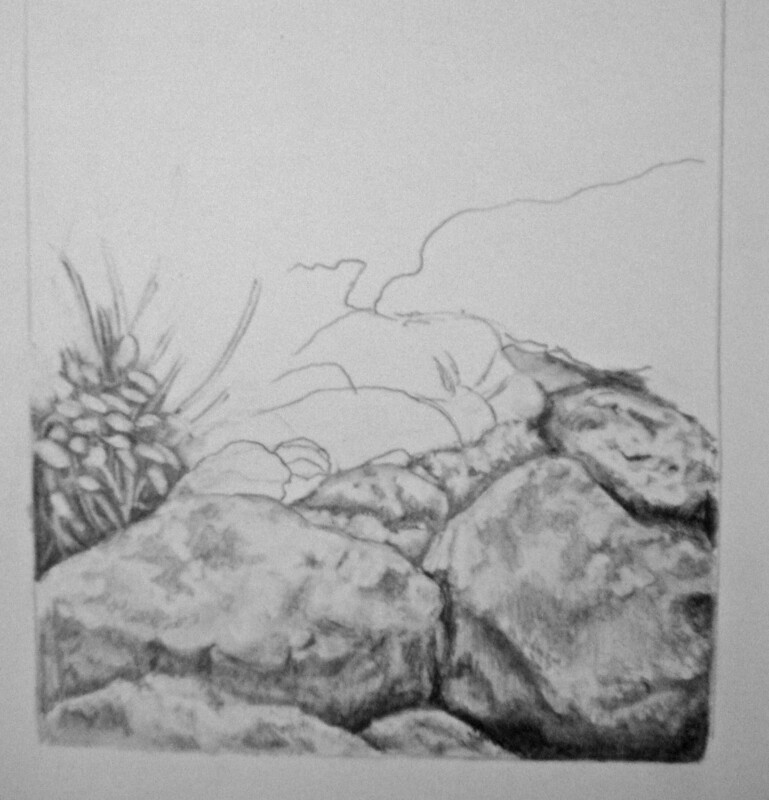 Rocks are extremely difficult to render and﻿ ﻿this little tad bit is about 4 hours drawing and shading and is nowhere near finished. I think my reference was a little ambitious for me to start with, so I don’t know if I’m going to finish this or draw something a little simpler tomorrow.